Will X-Men: Apocalypse Address X-Men: Days Of Future Past's Cliffhanger Ending? Will X-Men: Apocalypse Address X-Men: Days Of Future Past’s Cliffhanger Ending? 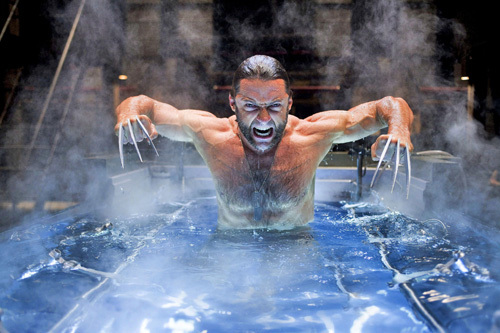 X-Men: Days of Future Past ended with Mystique – disguised as William Stryker – rescuing Wolverine from a watery grave and taking him to destinations unknown. Many fans assumed that this meant Logan wouldn’t end up being taken by Weapon X, but it turns out that the movie’s final scene will have little to no ramifications for X-Men: Apocalypse. In fact, based on comments from writer and producer Simon Kinberg, it sounds like we’re going to have to just accept that Wolverine still ended up in the clutches of Weapon X and that the last movie’s ending basically meant absolutely nothing. That explanation makes sense in some ways, but it also feels like a pretty weak way of saying that they basically didn’t want to follow up on that cliffhanger ending because it didn’t fit with the story they wanted to tell in X-Men: Apocalypse. As frustrating as that is, it’s worth noting that the continuity of these movies has never really made much sense, so it’s probably not worth getting too upset over. X-Men: Apocalypse will hit theatres on May 27th, and for our thoughts on the film, you can check out our review here.